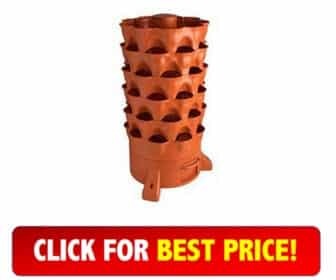 Garden Tower 2 Review 2018: Is It The Best Vermicomposter Out There? 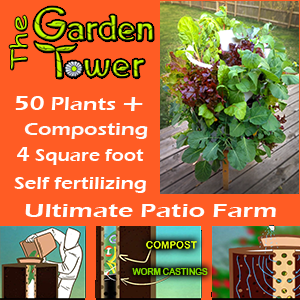 The Garden Tower 2 is one of the most unique solutions to composting we’ve ever seen. Dubbed “the highest performance urban gardening system ever,” the vermicomposter not only transforms kitchen waste into nutrient-dense fertilizer, it also feeds this fertilizer directly to plants growing inside the same unit. This is an all-in-one urban gardening container. 50 plants comfortably fit in the 4 square feet of growing space. It is perfect for growing vegetables, herbs, and flowers without herbicides, pesticides, and other contaminants. 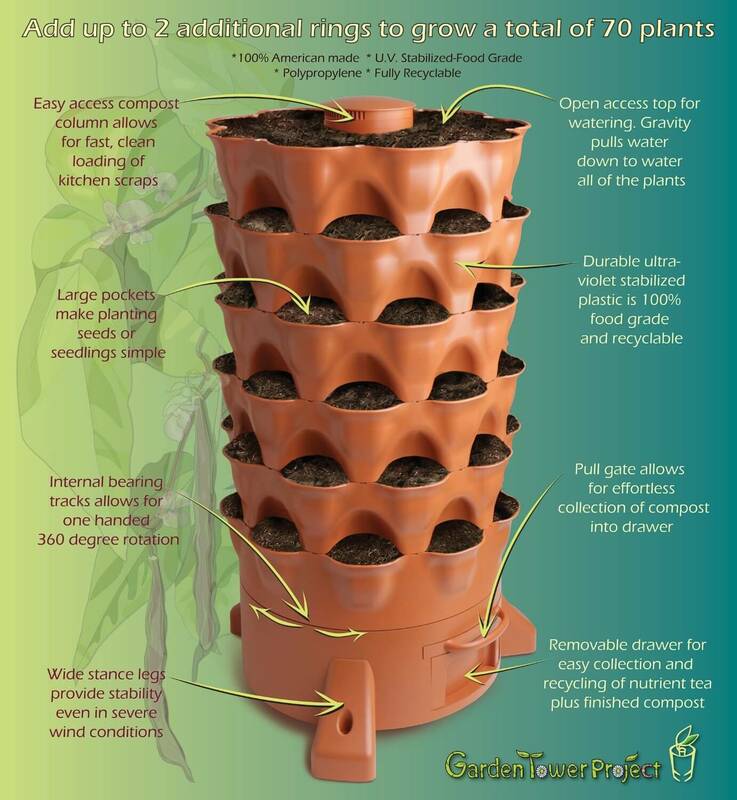 The composting tower’s rotating design ensures all of your plants receive the light they need to thrive. Read our detailed Garden Tower 2 review below to decide if this innovative kitchen composter is right for you. It sits at 23 x 25 x 44 inches and weighs 38 pounds when empty. Immediately noticeable about the product is its rugged design. This kitchen composter is built to last. Assemble it, fill it with dirt, and it won’t wiggle at all. The creators constructed it to last for the long haul. It’s expected lifespan is at least 10 years. The product can be used inside or outside. However, most people use theirs indoors. The reason is that the composter was originally marketed for those living in cities with small homes and no private outdoor space. It’s the perfect solution to having your own garden in an urban apartment environment. 6 levels give you more than 4 square feet in which to grow your plants. The composting container’s rotating design ensures each plant gets adequate sunlight. The rotating feature also makes it easy to access all of your plants. They’ve built the entire tower from food grade USDA-made HDPE components. These are all non-toxic, BPA, and PVC free. The outer shell utilizes FDA-approved dye as well as a special UV-protectant coat to minimize aging effects and to improve safety and recyclability. The way that this self-contained garden works is simple. After setting the container up, you add soil, a small amount of organic waste, and about ½ cup of red wiggler worms. Add new kitchen waste to the bin each day. The worms will feed on this organic waste, turning it into worm castings and worm tea in the process. These castings and tea are two of the most powerful organic fertilizers on the planet. Your plants will feed on this fertilizer as its being made. Excess fertilizer, especially in the form of worm juice, collects in a tray at the bottom of the tower. Remove this tray to spread the nutrient-dense juice on your plants. The bottom tray also collects water. You initially water the soil at the very top of the tower. It will then work its way down, nourishing each layer of plants, before stopping in the bottom tray. Recycle this excess water before pouring it on the soil at the top of the tower. The entire cycle starts over again. 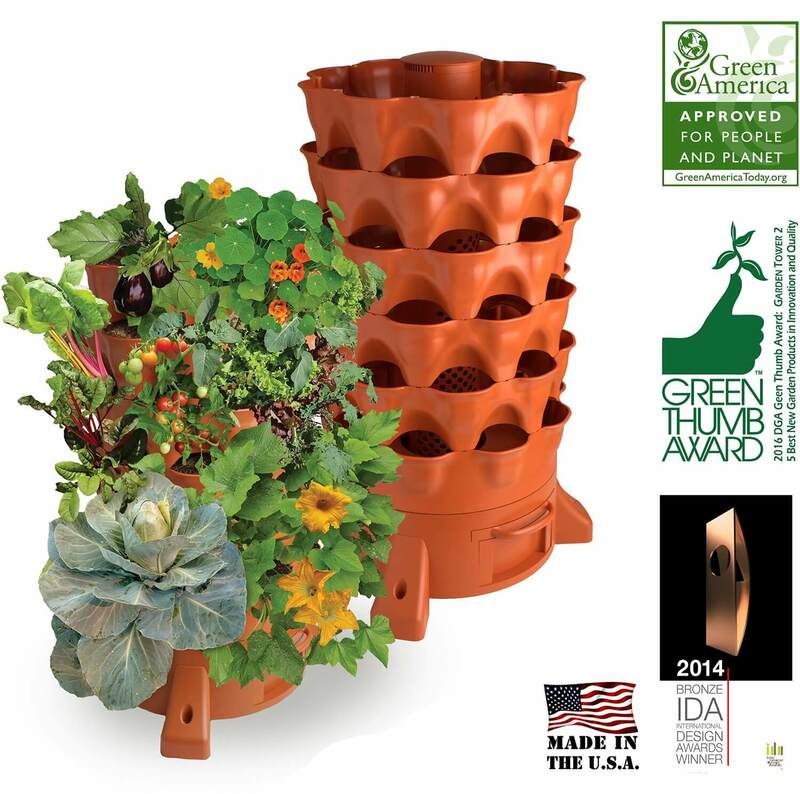 This is the best of the best in self-contained gardening/composting systems. It’s vermicomposting technique makes it the ultimate patio farm. Small Footprint – Doesn’t take up much floor space in your home, apartment, or patio. Yet still contains 6 levels and 4 square feet of growing space for up to 50 plants. Organic Food – Transforms your organic kitchen waste into an organic nutrient-dense fertilizer to help your vegetables, herbs, and flowers grow better. A self-contained home compost/garden system. Rotating Body – Innovative rotating body allows each side of the tower to receive plenty of light during the day. Also improves ease of access for planting, caring for, and harvesting plants. Sturdy Construction – Made from high quality materials to increase durability and lifespan. Wide, heavy, reinforced construction. Anchors on feet add even more stability. Beautiful Design – Terracotta design looks great in any home, apartment, patio, or garden. Price – This composter is very expensive. It’s $500 full price. However, it will likely last you a lifetime. Heavy – Clocks in at 38 pounds when empty. Add soil and plants and it gets a whole lot heavier. Difficult to move from one location to another without emptying. Small Growing Spaces – This vermicomposter is designed with vegetables, herbs, flowers, and other small plants in mind. Larger plants might not fit in the growing spaces. Is The Garden Tower 2 Right For Me? Self-contained design. Every aspect of the composting and growing process is handled. Dump in waste, worms turn it into fertilizer, and plants soak up fertilizer for increased crop yield and better taste. Very little hassle or mess. It’s not cheap. You’ll pay a pretty penny for this composter. Considering its lifespan and efficiency though, the money is more than worth it to the serious urban gardener. We highly recommend this product to anyone serious about indoor gardening. The self-contained system sports a hefty price tag but it’s well worth the money. It’s simple to set up, easy to use, and highly efficient. When looking for the best composter, pick something that works for your space.